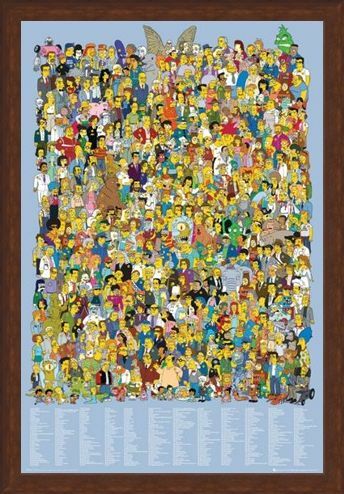 Television Maxi Poster: For real fans of The Simpsons, this excellent maxi poster has everything you need to get to know the complete cast for 2012. 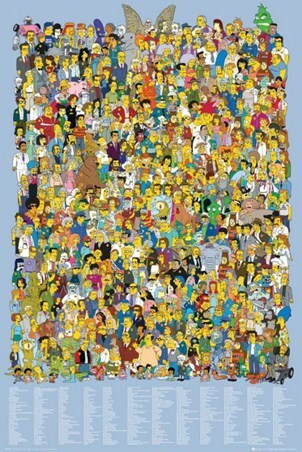 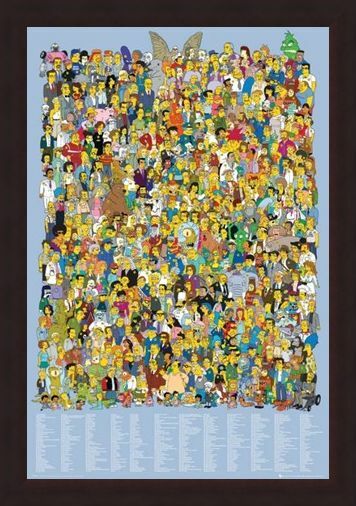 The main section of the poster is jam packed with all 457 characters from the animated cartoon series including; the Simpson's family, Mo, Barney, Angel Skeleton, Duffman and Ned Flanders as well as hundreds more! 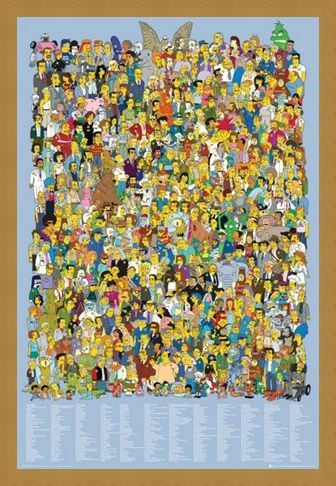 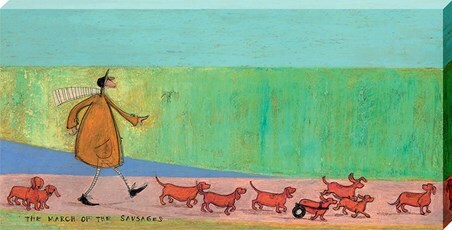 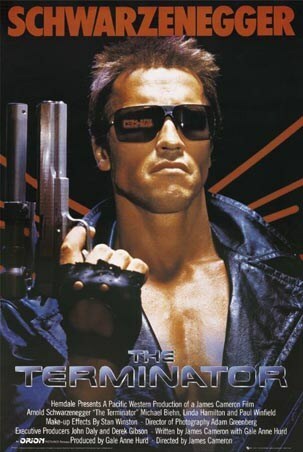 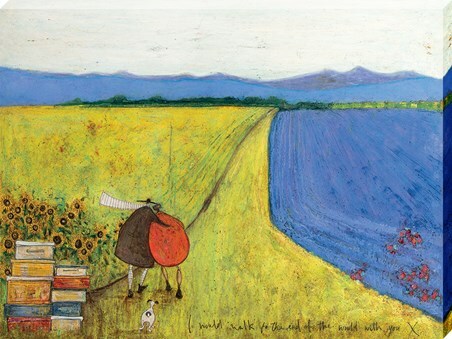 Each character is numbered to match the key below which names everyone from Bestimus Mucho to Stephen Hawking. 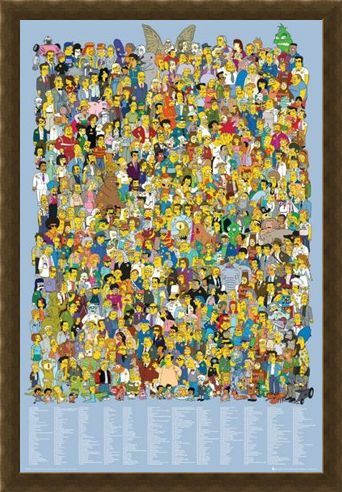 So if you want to take a trip to Springfield and get to know your favourite animated characters then this cartoon crazy poster is a must have for your wall. High quality, framed The Simpsons Cast 2012, The Simpsons poster with a bespoke frame by our custom framing service.